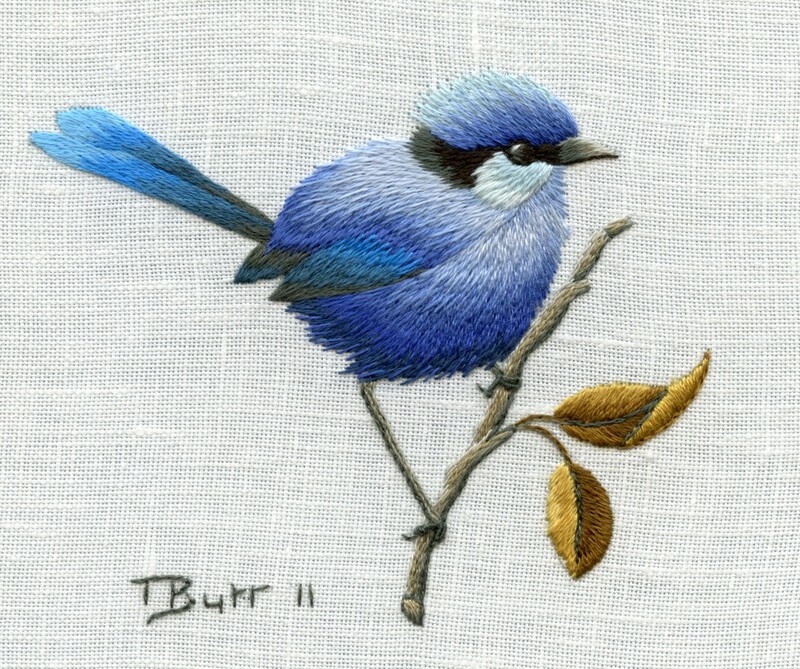 For those of you who emailed me requesting that the Splendid Fairy Wren workshop for BEATING AROUND THE BUSH in Australia be repeated, they have agreed and bookings are now open. It is workshop No 13 and you can do your bookings here . If you have any problems you can contact Sally Bradshaw by email: sallyb@countrybumpkin.com.au who will make the booking for you. I absolutely love this little guy. He’s gorgeous. And the color of the leaves, too – very nice!